I spent most of today looking at two newly created RSPB reserves on the Lincolnshire side of the Wash. Frampton Marshes is a fresh water marsh which has been created from what was formerly farmland, whilst at Freiston Shore, the sea wall has been breached to allow for managed realignment of the coast, which is creating new saltmarsh. The latter is a habitat which is under great pressure, being squeezed between rising sea levels and sea walls which don't allow it to retreat inland. 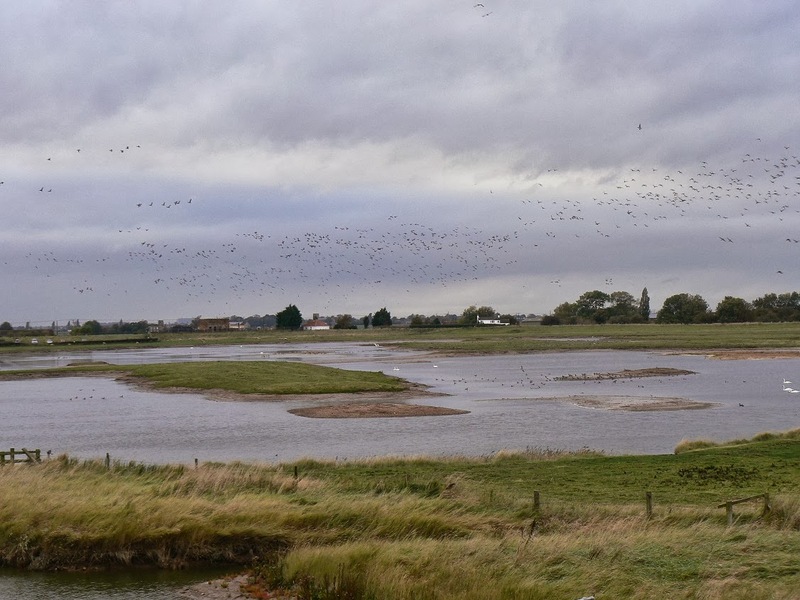 Breaching sea walls and flooding farmland at suitable places such as Freiston Shore and Hesketh Out Marsh on the Ribble, not only helps take the pressure off other more vulnerable parts of the coast, but also allows the RSPB to create new saltmarsh reserves to the benefit of wildlife. 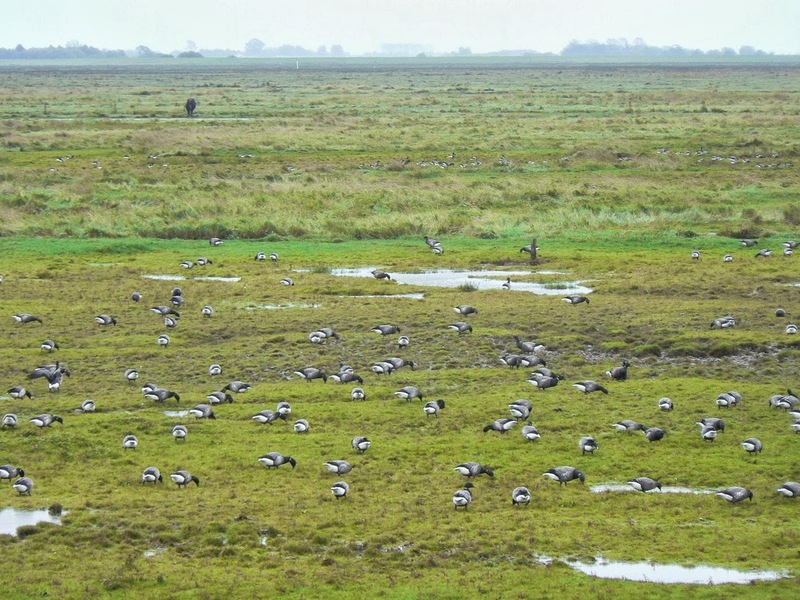 It's also a unique opportunity to study how quickly the farmland reverts to saltmarsh once the sea wall is breached, and this is exactly the type of research I was involved with until quite recently at Edge Hill university. My part in the research was to compare the invertebrate communities at Hesketh Out Marsh, with those at the much more established Crossens Marsh, by pitfall trapping, identifying and comparing invertebrates at both sites. An example of the type of results from my research is that although spiders were common at both sites, wolf spiders such as Pardosa purbeckensis were much more numerous at Hesketh Out Marsh, whilst at Crossens Marsh there was a higher diversity of species, with the linyphiidae (money spiders) particularly well represented. The reason for this may be as simple as the vegetation has not developed and is not as dense at Hesketh, which is to the benefit of the running hunters such as Pardosa sp. There are large expanses of existing saltmarsh both at Frampton and Freiston Shore, in fact they're both part of the largest saltmarsh in the UK. 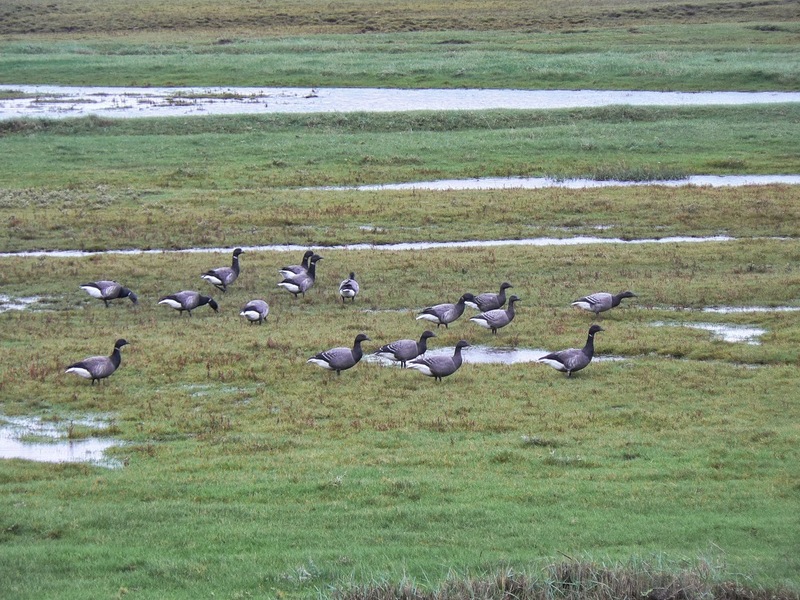 There were about 1000 Dark-bellied Brent geese at both sites, with a single Pale-bellied bird at Frampton. 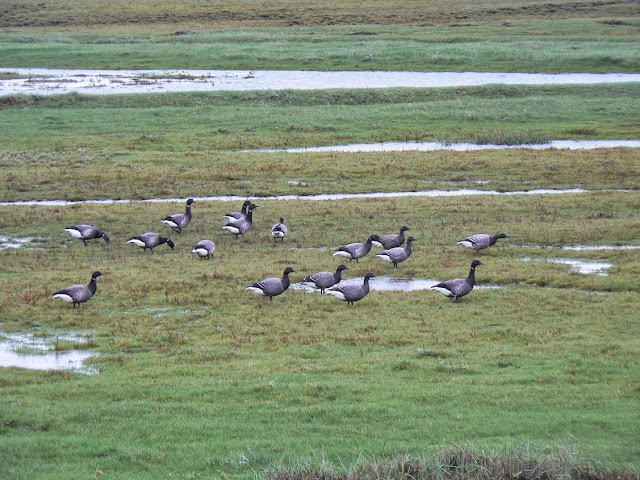 Brent geese over Freiston Shore (this is not the managed realignment area).